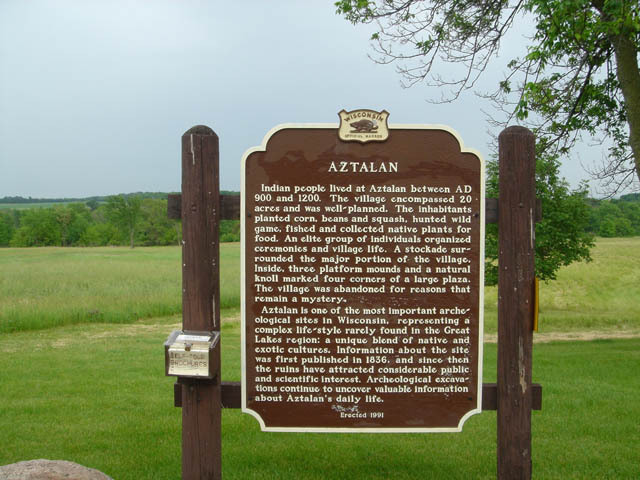 Located County Rd Q 0.3 mi south of county B Aztalan WI Coordinates Lat N 43:04':127" Lon W -88:51':773"
Indian people lived at Aztalan between AD 900 and 1200. The village encompassed 20 acres and was well planned. The inhabitants planted corn, beans and squash, hunted wild game, fished and collected native plants for food. An elite group of individuals organized ceremonies and village life. A stockade surrounded the major portion of- the village. Inside, three platform mounds and a natural knoll marked four corners of a large plaza. The village was abandoned for reasons that remain a mystery. Aztalan is one of the most important arche~ ological sites in Wisconsin, representing a complex life~style rarely found in the Great Lakes region: a unique blend of native and exotic cultures. 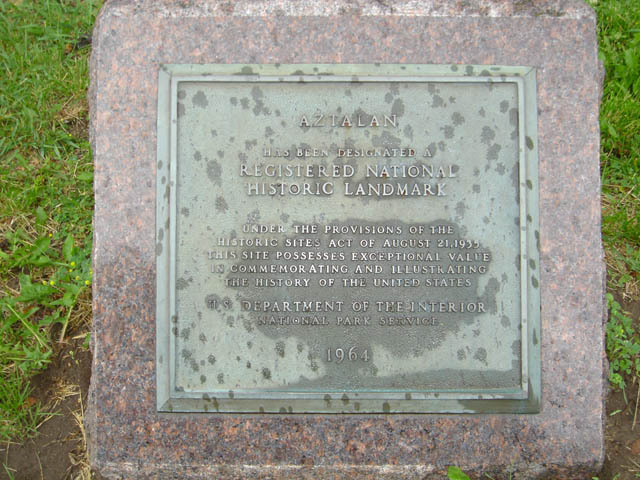 Information about the site was first published in 1836, and since then the ruins have attracted considerable public and scientific interest. Archeological exam~ tions continue, to uncover valuable information about Aztalan's daily life. 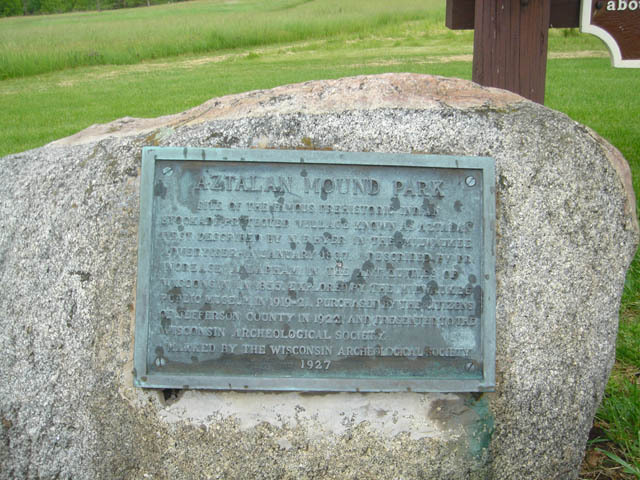 Site of the famous prehistoric stockade preserved village known as Aztalanfirst described by N.F. Hyer in the Milwaukee advertiser in January 1937. Described by Dr. Increase A. Lapham. In the antiquities of Wisconsin in 1855.Explored by the Milwaukee public Museum in 1919-21. Purchased by the Citizens of Jefferson County in 1922 and presented to the Wisconsin Archelogical society.